With Christmas coming up, it’s time to go shopping and get your kids something awesome! Well, when we speak of awesome, we’re speaking of none other than the Jeep Revolution BFR-3! 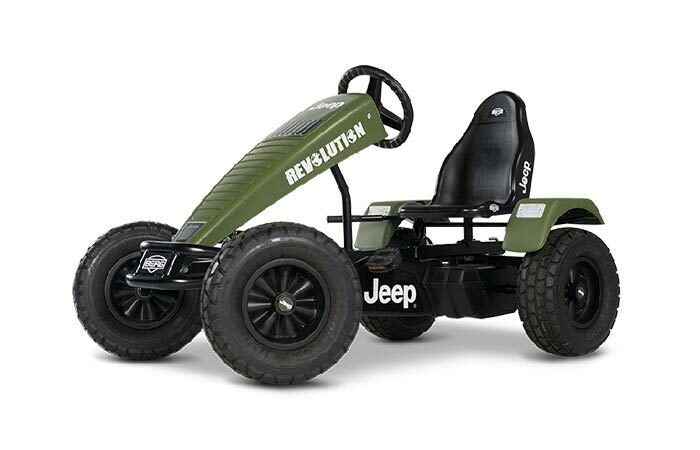 The Jeep Revolution is a kids pedal-powered go-kart that comes with three gears! It also has a variety of different accessories that makes it the perfect off-roading kids cart. 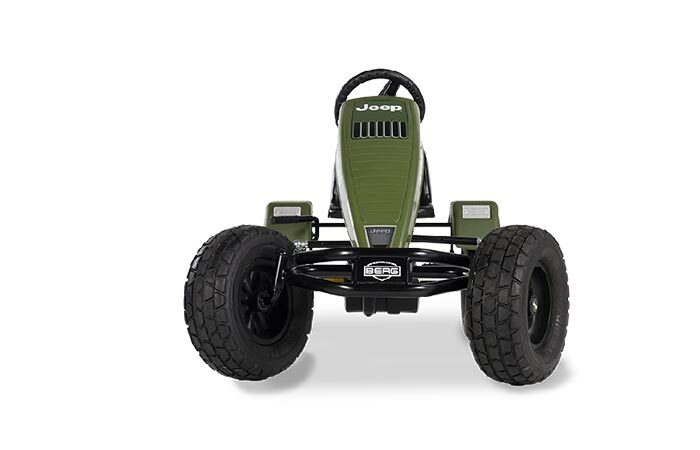 Built to withstand the roughest of terrains, this go-kart will be loads of fun for your kids. This go-kart comes with a 3 gear BFR hub that even allows you to reverse the kart by back pedaling. The Jeep Revolution BFR-3 is a three-gear pedal-powered go kart. However, it comes with back pedal braking that is exceptionally easy to use. It can also be used to pedal backwards, if the need be. The steering uses a double ball bearing system that allows you to easily maneuver around even the tightest corners with minimal effort. Check out the video below. 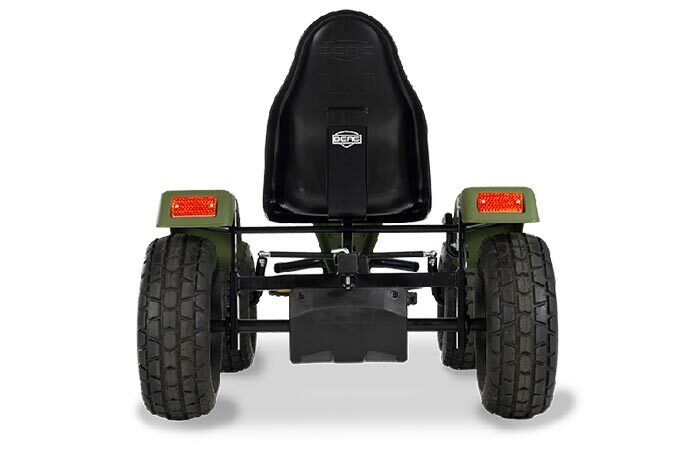 These go-karts come with pneumatic off-road tires. In addition to this, this Jeep was constructed in the look of a real Jeep and it comes with a set of pneumatic off-road tires. It also comes with a swing axle, a front spoiler and back mud guards. The go-kart can also be extended to include a second seat so that a friend can join the ride. Check out the video below. It comes complete with mud guards for the back wheels. It can also be extended to accompany a second seat.